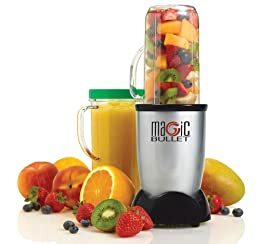 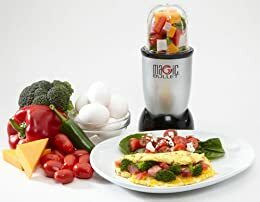 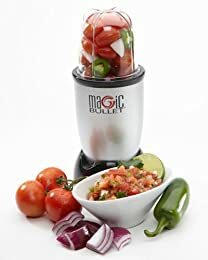 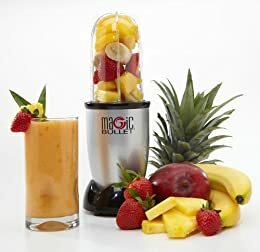 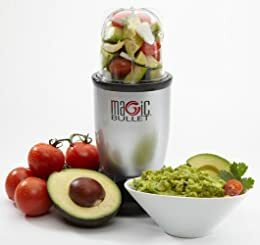 Introducing the Magic Bullet, the personal, versatile countertop magician that works like magic. 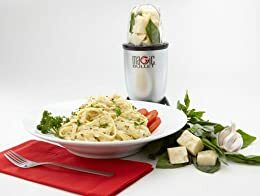 With the Magic Bullet you can chop, mix, blend, whip, grind and more–all in 10 seconds or less–for the fastest, tastiest meals ever! 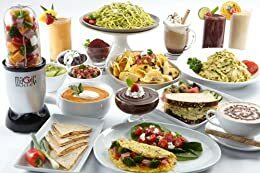 Everything from chopped onions and grated cheese to pasta sauces and snacks. 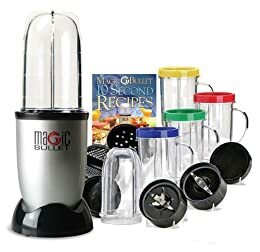 Uses: Chop, mix, blend, whip grind & more! 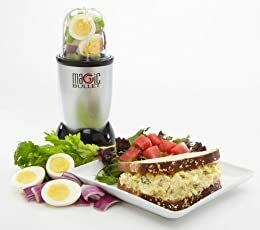 Make: Mousse, sorbet, frozen cocktails & smoothies, ground coffee, frozen coffee, party dips & more!